How Can I Avoid Unwanted Medical Care if I Get Sick? What Is a Living Will in Smithtown NY? Have You Considered These Estate Planning Details? Free Report: When Will My Heirs Receive Their Inheritances? Asset Protection Smithtown NY: How Can I Protect Assets? What are the Most Important Services Elder Law Attorneys Offer? What Does Custodial Care Mean and Why Does it Matter? Are There Alternatives to Nursing Home Care? Where Can Caregivers of Elderly Seniors Get Support? How Big of a Problem is Elder Abuse? What are the Sources of Elder Care in New York? Why Is Nursing Home Asset Protection Important? Are Living Trust Assets Countable for Medicaid Purposes? Will Most Seniors Require Nursing Home Care Eventually? How Do I Protect Assets From Medicaid? Elder Law FAQs: How Common Is Alzheimer’s Disease? What Is a Medicaid Maintenance Allowance? Will Medicare Cover All of My Medical Expenses? Am I Responsible for a Parent’s Nursing Home Expenses? Can I Be Held Responsible for a Parent’s Nursing Home Bills? Living Trust vs. Medicaid Trust: What’s the Difference? What Is an Elder Law Attorney in Smithtown New York? Is Chained CPI on the Way? Medicaid and Medicare in Smithtown New York: What is the Difference Between Them? Can I Give Away My Assets to Qualify for Medicaid in New York? New York Medicaid Planning: When Is It Too Late? Have You Considered the Estate Administration Process? How Should I Choose My Executor? Are You Choosing a Trustee? As a Surviving Spouse Where Do You Turn? Why Would You Use a Qualified Domestic Trust? Why Consider Digital Assets in Estate Planning? Do You Need an Estate Planning Attorney to Update Your Will? What is a Spousal Elective Share? Can You Safely Leave Money to an Irresponsible Heir? What Does Joint Tenancy Mean When You Own Property in New York? Should You Involve Your Family When Creating a Will? When Should You Start Planning a Will? Does a Revocable Trust Protect Your Assets? Are You Shaping Your Legacy? Does My Spouse Inherit My Property If I Die Intestate? What Are the Gift Tax Exclusions in New York? Will My Estate Definitely Be Subject to the Probate Process? Isn’t a Living Trust Just a Glorified Last Will? Do Trusts Provide Tax Efficiency? What Are the Gift Tax Exemptions? Do I Need Anything in Addition to My Will? How Do I Identify the Right Estate Planning Attorney? What Is a Living Trust Successor Trustee? Estate Planning FAQs: Can a Trust Protect Family Wealth? What Happens to a Revocable Living Trust When One Spouse Dies? Is There a New York State Estate Tax? Will a Living Trust Reduce My Income Taxes? What Advantages Do Trusts Provide? Is There an Inheritance Tax in New York? What Is the Value of a Charitable Remainder Trust? Estate Planning FAQs: Is There More Than One Type of Will? How Is Property Distributed If There Is No Last Will? What is the Difference Between Estate Planning vs Legacy Planning? Who Should Talk to Long Island Estate Planning Attorneys? When Would I Want To Use a Special Needs Trust? How Do You Stretch an IRA? Is a Revocable Living Trust Only for the Rich? Is Your Estate Plan Part of a Holistic Financial Plan? Do All Trusts Preserve Wealth? Will I Still Have Control of My Property if I Establish a Revocable Living Trust? Have You Ever Wondered About Pet Trusts? Will You Consult With an Estate Planning Lawyer in 2014? Can Someone Contest a Trust? How Long Does the Probate Process in Smithtown NY Take? What Is Joint Tenancy With Right of Survivorship in Smithtown NY? How Is My Property Transferred If I Die Intestate in Smithtown New York? When Should I Use My Gift/Estate Tax Exclusion? Can I Leave a Tax-Free Inheritance to My Spouse? What Does a Power of Attorney Accomplish? Revocable Living Trust in Smithtown NY: Does It Provide Asset Protection? 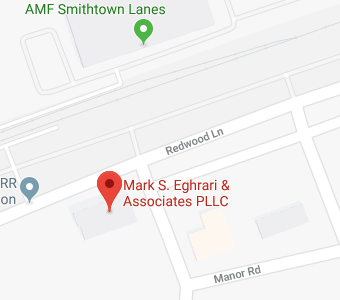 What Is Estate Planning in Smithtown New York? Estate Tax in Long Island New York: How Large of an Estate Can Pass Federal Estate Tax Free? Is a Durable Power of Attorney Necessary in New York? New York Estate Planning FAQ: What Is Probate? Dying Without a Trust or Last Will: What’s the Outcome? Long Island Intestacy Laws: What’s the Outcome if I’m Single When I Die? Does Your Living Trust Reflect Your Current Wishes? Do You Have Questions About Charities? Will We See Higher Estate Tax in 2018? INHERITANCE PLANNING: WHAT IF SPOUSES CAN’T AGREE? What Is a “Wait a While” Trust? Have You Calculated Your Current Net Worth? Question for Procrastinators: What About the Children? Are Private Family Foundations Only for Billionaires? Is New York Estate Tax the Same As Federal Estate Tax? Are Estate Taxes Assessed on Married Couples? Are New York Estate Taxes Different from Federal Taxes? Free Report: How Large of an Estate Can a New York Citizen Pass Federal Estate Tax Free? Free Report: Can I Give Gifts to Avoid the Federal Estate Tax? Are Assets in a Trust Protected From Lawsuits? When is it Time to Hire a Smithtown Guardianship Attorney? Who Will Become a Guardian Under New York Guardianship Rules? Why Would Conservatorship Be Necessary? Power of Attorney in Smithtown, New York: What Is the Difference Between a Limited and a General POA? Will an Inheritance Tax Be Assessed On Your Estate? Is Estate Planning Still Important for New York Gay Couples? Is Long-Term Care Insurance a Good Option to Pay for Nursing Home Care? How Much Does Long-Term Care Actually Cost? Can I Use Joint Tenancy to Avoid Medicaid Recovery? How Old Do I Have to be to Make a Living Trust? How Can You Take Advantage of Living Trust Benefits? Free Report: Revocable Living Trust in New York – Does It Provide Asset Protection? Can Medicaid Take Your Inheritance? What are the Risks to Seniors Who Don’t Have a Nursing Home Plan? How Many Seniors Get Help from Medicaid? How Could New Healthcare Legislation Change Medicaid? What is Medicaid Estate Recovery and Does it Apply to You? Is Emergency Medicaid Available to Provide Fast Access to Care? Can You Get Medicaid if You Are On Disability? How Much Are Medicaid Benefits? What are the Most Important Medicaid Benefits? Does Medicaid Cover More than Medicare for Seniors? Why is New York Medicaid Eligibility Important to You? Do You Really Need a Medicaid Plan if You Have Medicare? Do You Need a Long Island Medicaid Attorney if You Have Medicare? What are Medicaid Requirements for Getting Nursing Home Care Paid for? Can I Establish a Trust for the Benefit of My Dog? Can You Create a Pet Trust in Smithtown NY? What Do You Need to do To Create a Durable Power of Attorney? What does Durable Mean in a Durable Power of Attorney? What Is a Springing Durable Power of Attorney? Durable Powers of Attorney in Long Island NY: What Are their Advantages? What if You Don’t Do Your Job as Executor of a Will? Can a Long Island Probate Lawyer Help Probate Move Faster? What Types of Assets are Considered Probate Assets? Is Probate Necessary If the Estate is Small? What Does Intestate Probate Mean? How Does a Long Island Probate Attorney Help Defend a Will Contest? What are the New York Laws if You Die Intestate? What Are Some Problems That Can Arise During Probate? Why Would Probate Avoidance Be Beneficial? Is Probate Really a Problem? Should I Avoid Probate at All Costs? What Tax Breaks Can I Get for Retirement Savings? Can I Invest in an IRA if I’m Young? How Much Should Seniors Be Saving for Healthcare Costs During Retirement? Should I Take an Early Social Security Benefit? Retirement Planning FAQs: Will Medicare Cover All of My Medical Expenses? Are There Different Types of Individual Retirement Accounts? Social Security: How, When & How Much? Is a Revocable Trust Safer Than an Irrevocable Trust? Free Report: What Is the Difference Between a New York Revocable Living Trust and a Medicaid Trust? Why is Special Needs Planning Important to Ensure Continued Access to Medical Care? What is the Difference Between a First Party & Third Party Special Needs Trust? What is the Gift Tax Lifetime Exclusion? What is the Annual Gift Tax Limit? What is the Purpose of a Revocable Living Trust? How Do You Terminate a Trust? When Should You Talk to Long Island Trust Lawyers? Living Trusts Allow Heirs to Skip the Probate Process: What Does That Mean for You? Is it Harder to Contest a Living Trust? Do You Need a Trust Attorney to Make a Trust? Can You Ever Change an Irrevocable Trust? Is There a National Association of Trust Lawyers? Can I Protect My Inheritance With a Special Needs Trust? What Types of Benefits are Available for Long Island Veterans? How Can You Reduce the Chances of Your Will Being Contested? Are DIY Wills a Good Choice for Anyone? Do You Need Legal Help Creating a Simple Will? What Do I Need to Know about Choosing Trustees and Other Trusted Helpers? How are Changes Made to My Trust? A Living Trust Cannot Do This for Your Estate…. What Are the Powers of the Executor of a Will? How do you prevent a guardianship? What happens if you become incapacitated without planning for it in advance? We have all heard of Alzheimer’s disease, but it’s relatively rare, right? Most people that are in their 70s are not incapacitated. Since the average lifespan is 78, why should I worry about incapacity? How can an attorney help with wills and trusts? Why would your heirs prefer trust administration to probate? What are the pros and cons of a revocable trust? How does a trust give you more control over assets? I own a farm, and the land is valuable, but I don’t make a huge amount of money. Will my family face estate tax exposure? Is there a succession strategy for small business partners? Are there any other asset protection structures for businesses and real estate investors? What are the benefits of a limited liability company? Is emergency Medicaid available to provide access to care? How can a trust administration attorney help you? Who administers a living trust when you pass away? Who takes cares of estate assets during probate? an I make decisions about my spouse or partner’s remains? What credentials should you look for in estate planning attorneys? What are some top causes of disputes in estate litigation? Who should you choose as your agent when you create a power of attorney?